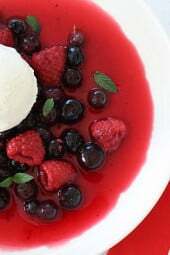 A simple, chilled sweet berry soup topped with fresh berries and mint topped with frozen yogurt. The perfect dessert if you’re having company because you make it ahead and keep it chilled until ready to serve. More wonderful fruit dessert ideas I love are Czech Crepes with Berries and Cream, Mixed Berry Pie and Mixed Berry Cheesecake. I get so many magazines delivered to my house yet never seem to find the time to read them. However, I found myself thumbing through last month’s Bon Appétit and came across a Mixed Berry Gazpacho with Basil by Chef Michael Laiskonis and ripped out the page. I changing it up slightly using raspberries and mint from my garden and some store bought blueberries. 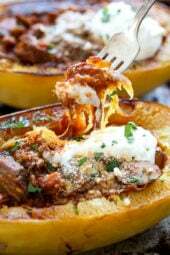 It was so easy to make and a perfect light ending to my meal. 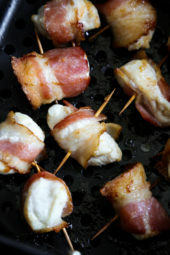 They topped theirs with olive oil and fresh cracked pepper, but I kept it simple and made it without. A scoop of Stonyfield’s frozen yogurt was the perfect finish to this easy light summer dessert. And let’s just talk about this spoon for a minute, isn’t it the most darling spoon? If you love supporting local artists on Etsy, you’ll love For Such A Time Designs, she creates fun vintage hand stamped and re-purposed flatware. 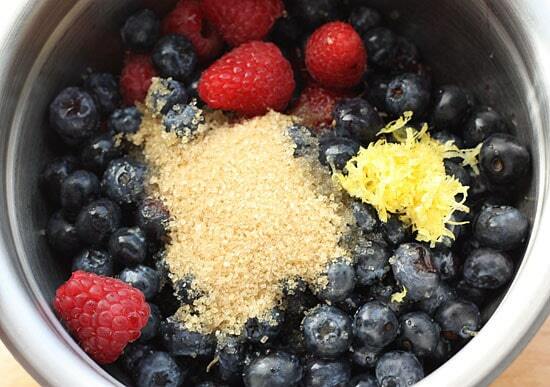 Combine the berries with the sugar, orange, lemon and lime juice and the lemon zest in a medium heatproof bowl. 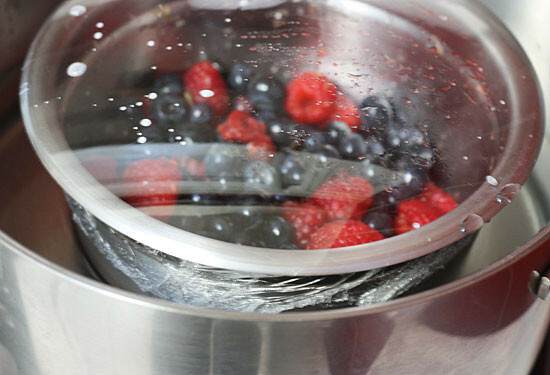 Place the covered bowl over a large saucepan of simmering water; cook on low 10 minutes. Divide fruit and its liquid among 4 bowls; garnish with fresh mint and top each bowl with a 1/4 cup scoop of frozen yogurt. Does the PointsPlus value change if you use Stevia rather than raw sugar? That spoon is hilarious! I must find one – oh the gazpacho looks good too! 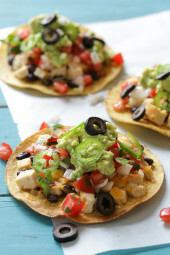 I love how beautiful and yummy this looks! Perfect for those last hot days of the year! I am so surprising the hubby with this next weekend! Made this today, so easy! This looks wonderful and I love the spoons (fav is: "No Coffee Before Talkie"
No immersion blender, the liquids are drawn out from the double boiler tequnique, the fruit remains whole. In the picture, it appears that the fruit has been blended (with an immersion blender?) – is that the case? At what stage does that happen? Thanks! What a lovely idea for a sweet soup- I've never tried soup for dessert but I think I'd better give it a go tonight! The spoons are adorable too! A fruity soup is a great way to showcase the season's bounty. 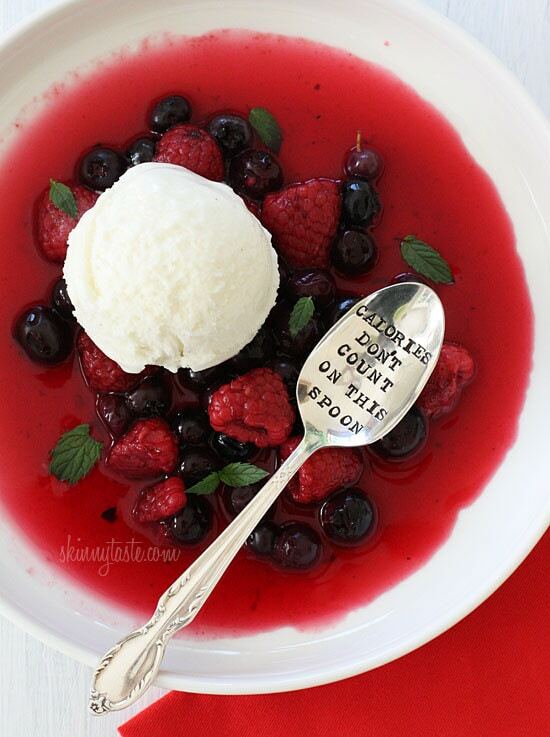 Love the spoon, it is just adorable! allow, isn't your post spam? 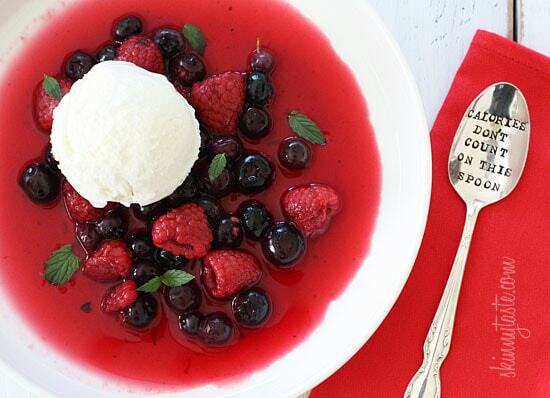 What a beautiful dish for late summer berries. And I love that spoon! So cool! This sounds awesome! That is the absolutely coolest spoon ever!! !